Mirrored console tables are highly versatile and can be used to make a perfect sofa table or vanity desk or entryway table. 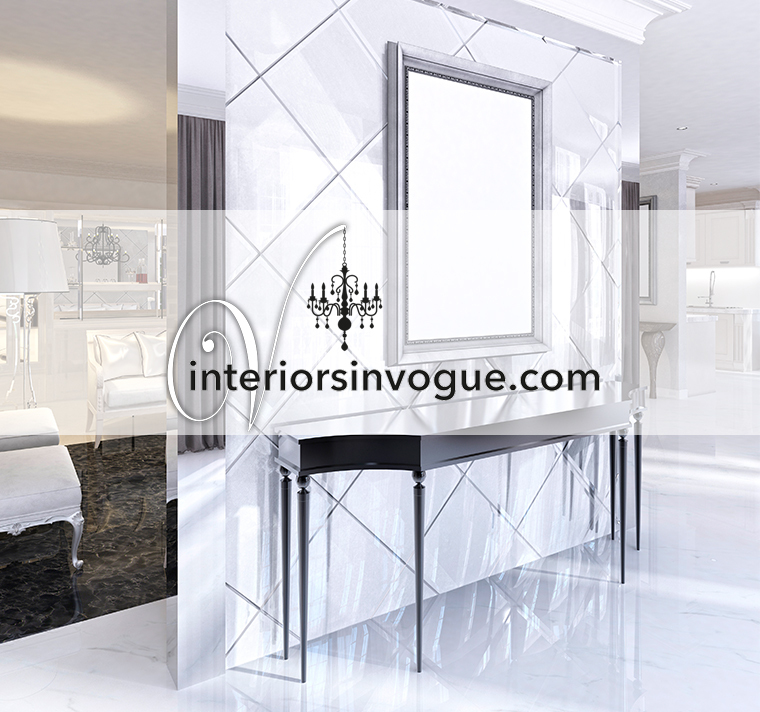 Mirrored console tables are perfect for every room in the house including bathrooms, entrance halls and corridors. Sophisticated and glamorous, they are eye-catching focal points and can be as practical or decorative as your space demands. Mirrored console tables placed centrally underneath a mirror can create a feeling of freedom and light and in the smallest spaces and create a magical atmosphere in larger areas. No matter how dark you think a space may be, by adding a mirrored console table, you’re opening a window to all that extra sunlight. Glass console tables are also a great way to add usable space into areas that can often be lost and unloved with just the addition of beautiful plants or cherished ornaments. Glass console tables also reflect the light and are perfect for flaunting your own style. Bathrooms – Create an instant boutique hotel look with glass jars, pretty soaps and scent bottles. Ultra-sleek and chic, it’s super easy to turn rolled up towels into part of a practical but superbly decorative display. Stylish draws are great for storage for those things you want to keep hidden away. Our Charleston console table with drop handles adds the perfect finishing boutique touch but there are more to chose from to match your unique style. Hallways – It’s super easy for hallways to become unloved and cluttered. With the addition of glass or mirrored console, your hallway instantly comes back to life as a usable part of your home. Family photos can be displayed to welcome guests placed amongst treasured family trinkets, beautifully reflected and lit in the reflective shine of the surfaces. If your hallway has limited space then a Charleston Slim Console is the perfect fit for this type of space. The beauty of console tables is that you can maximise space and create focal points in any area of your home. Wasted space in the home quickly becomes a decorative area adding fabulous glamour and style that friends and family will be sure to notice. Dress up your console with on-trend pieces, like gorgeous mirrored or glass lamps, to add extra energy and warmth throughout the changing seasons. That dead space behind a sofa will suddenly spring to life and reflect the colours of feature wall patterns and artwork. So there’s no need to console yourself, just add a console table.